A real Soundcloud audience will listen to your music. Build up trust and reputation on your profile, with natural, organic Soundcloud plays. Step 1: get plays. Step 2: see your music fly! 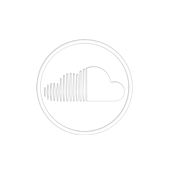 More Soundcloud plays make your tracks are more likely to be noticed and clicked on by your next big fan. Climbing the charts, getting reposted and gaining downloads usually follow suit. Buy 1,000 Soundcloud plays today, with our 100% safe, organic method. This package lets you buy Soundcloud plays, exclusively from REAL and VERIFIED profiles. You can split the plays at will across your music collection, promoting the tracks you want to. Hack Soundcloud promotion your way, with verified plays of your music. Hey, this is just one of many Soundcloud plays packages, sized to accomodate every user's need. Check all of them here, or lose yourself in a vast collection of Soundcloud promo packages in our professional music promotion portfolio. That's right: organic, natural growth for your Spotify music marketing! Get 10,000 active in 6 days, safe & easy.